Leukämie-Online e.V. 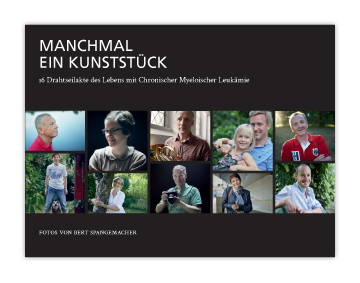 / LeukaNET is an independent and vital virtual community for leukaemia patients in German-speaking countries. This web-based network provides support to patients by translating and reporting news about new research publications and various treatment options for leukaemia. The web site also provides background information about different forms of the disease, about treatment options and other relevant information necessary to talk to a patient's physician of choice. Members of the community can participate in a highly frequented discussion forum and ask questions, as well as share their own experience. They can also submit news articles to the web site, review books, suggest web links, or update the patient-friendly glossary on haematology. Leukämie-Online was launched in April 2002 by Jan Geissler, having received his diagnosis of chronic myeloid leukaemia (CML), a rare cancer characterized by the presence of a chromosomal abnormality in blood cells, at the age of 28. At the time of Jan’s diagnosis, the only well-tested treatment options were stem-cell transplantation and Interferon-alpha. An experimental drug that had shown promising results in the US in patients with CML was also being tested in clinical trials in Germany. Jan joined one of those early-phase clinical trials. Leukämie-Online has no commercial interests and is a registered not-for-profit charity in Germany. The web community has been developed, run and financed by patients. Even though the site is in German language only, the site provides collaborates very closely with patient organisations all across the world, as research reports is usually published in English language which are a key source of information for patients today. Leukämie-Online has been a co-founding member of the CML Advocates Network which connects more than 50 leukemia patient groups in more than 40 countries today. Our Web Links Database contains also references to relevant information on CML in English language on the web. Leukämie-Online is a founding member of the CML Advocates Network, a global platform for more than 50 CML patient group in more than 40 countries. Leukämie-Online is also a founding member of the European Cancer Patient Coalition (ECPC) which was established in 2004 to represent the views of cancer patients in the EU, to influence the European healthcare debate, to train patient group representatives, and to provide a forum for European patients to exchange information. More than 315 cancer patient organisations in 42 countries are members of ECPC today. Leukämie-Online is a member of the Deutsche Leukämie- und Lymphom-Hilfe e.V (German Leukemia and Lymphoma Support, DLH). The DLH, founded in 1995, has become Germany's largest advocacy group representing patients with blood diseases and their family members. It provides local support groups in all major regions in Germany and has become very influential in representing blood cancer patients in various health policy forums in Germany. Any feedback is highly appreciated. Please feel free to contact us via email at or via our feedback page.